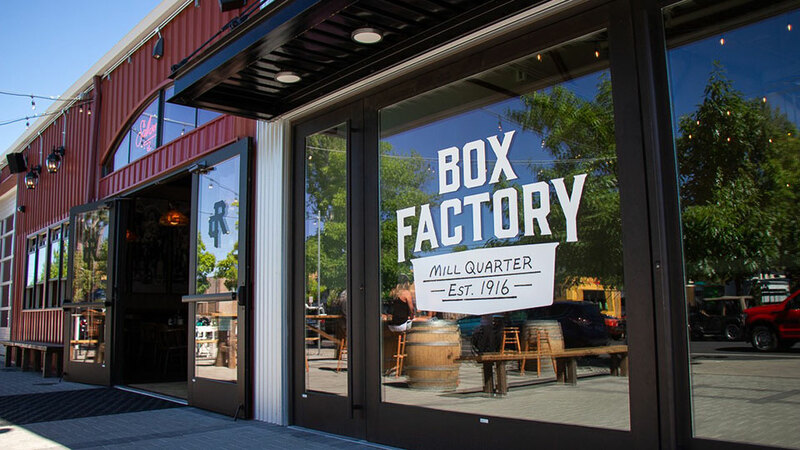 Steeped in history and vintage industrial charm, Box Factory is Bend’s up and coming destination in the Mill Quarter neighborhood, and home to more than 32 local businesses. Formerly known as the Old Mill Marketplace, the building was acquired by Killian Pacific in July 2013 and has since been restored using historic preservation standards and techniques. One of Bend’s two original box factories built during the early 20th century logging boom and part of the Brooks-Scanlon mill complex, the newly restored Box Factory is now the only box factory building remaining in Bend and celebrates its 100th year standing in June 2016. Today the Box Factory houses a growing collection of more than 32 locally owned Bend businesses including Avid Cider Company, Immersion Brewing, Picky Bars, The Gear Fix, The Brown Owl, Jewel Images, River Pig Saloon, The Bend Tour Company, Danner and more.